· Raised in Taranaki by her Grandparents until aged 4½. · When mother remarried returned to Wellington for school, attending Wellesley College and then Onslow College. In 1970 family moved to Auckland, attended Papatoetoe High School. · Theatrical career started having won the College Cup for Drama 1972. 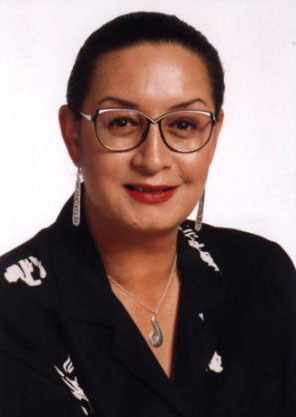 Following her nomination for best actress in the Guild of Film & Television Arts Award in 1987 she continued acting in Film, TV, Theatre and Cabaret until 1989 when she returned to Wellington in 1990. · Moved to Carterton in the Wairarapa and enrolled on an Access Scheme, soon after she was teaching on the course and then became course administrator employed by the Carterton Community Centre. · 1992 became a broadcaster for the morning show at TodayFM, the first FM radio station in the Wairarapa for 3 months. · Justice of the Peace since 1997. · Late in 1992 ran for the Carterton District Council in the local body elections becoming the highest polling unsuccessful candidate, losing by 14 votes. · 1993 won a by-election with a clear majority. · 1995 elected Mayor with a 48% majority. · 1998 re-elected Mayor with 90% majority. · 1999 elected Member of Parliament for Wairarapa with a 32% swing from National to Labour. 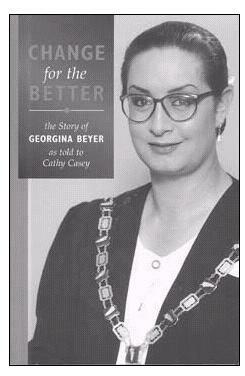 · Reluctantly resigned as Mayor of Carterton in March 2000 due to an extremely heavy parliamentary workload.